Being on the front of your vehicle, radiators can be easy targets for road debris – causing dents or punctures that can leak out your coolant/antifreeze. 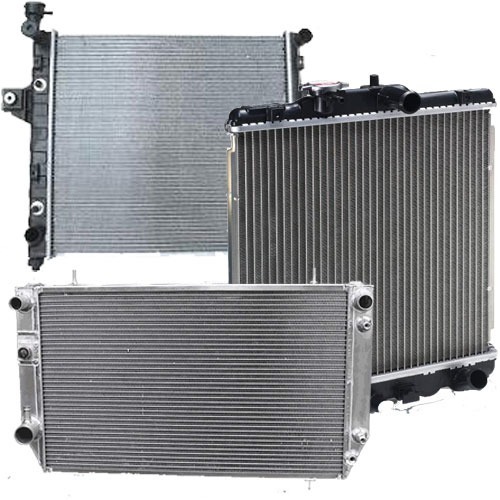 Sometimes, internal buildup in your cooling system can also accumulate in your radiator, causing it to lose efficiency at disposing of the heat your engine produces – which can lead to other heat-related problems. It’s also important to carefully clean the exterior of your radiator…the delicate aluminum finning that dissipates the heat between each fluid channel can easily be clogged with dirt or debris, further raising temperatures and making your A/C work harder. If you’re having a radiator-related issue – or even if you just think you might – stop by so that we can investigate and see whether any repairs need to be made to your radiator…or if it should be replaced all together. And remember, we also provide expert coolant/antifreeze flush services too.